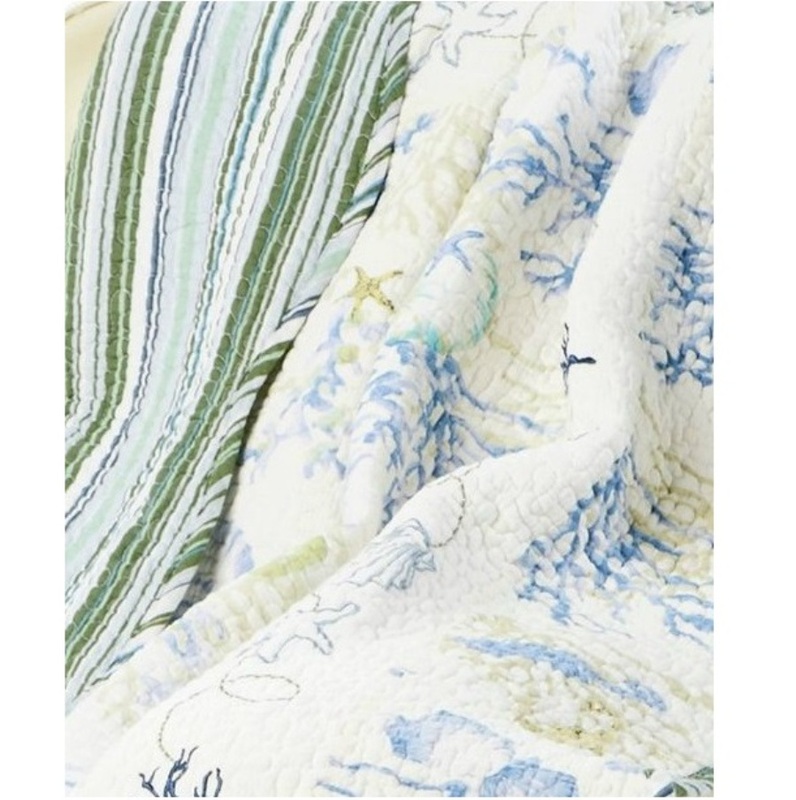 Transform your bedroom into a beach haven with this tropical inspired quilt. 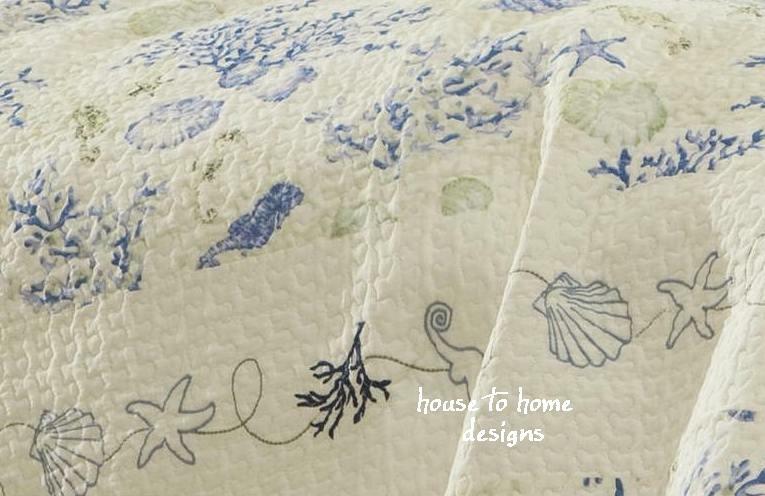 The quilt is crafted with vermicelli stitching and displays an ocean blue coral and seashell print on an off-white background. 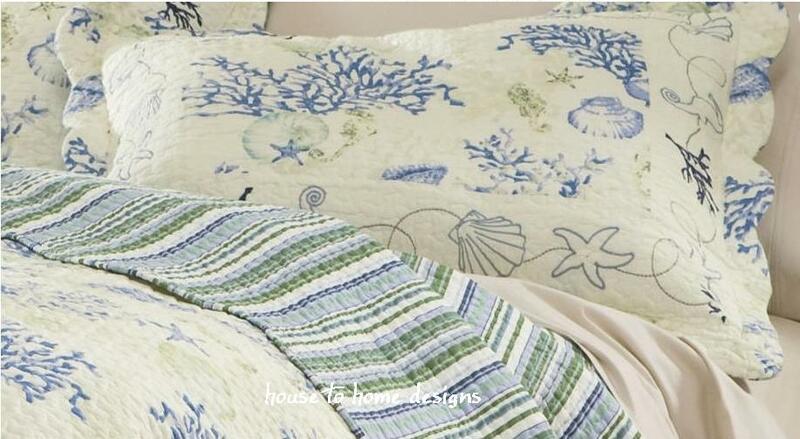 Intricately embroidered starfish, shells, and seahorses in tranquil ocean blues and seafoam green, and finished with a scalloped edge, will remind one of their favorite beach resort. 100% Cotton throughout, and reverses to a coordinated stripe. Set includes quilt and two matching shams (one sham with twin set).